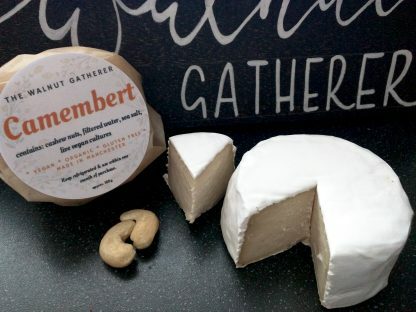 Hand made with organic cashews and vegan cultures, this Camembert is soft, creamy, spreadable and utterly delicious. The fluffy white rind has a lovely mushroomy essence just like real Camembert. It is divine on crusty French bread or crackers. Unlike its dairy counterpart, our Camembert has zero cholesterol. It is packed full of natural vitamins, minerals and vegetable protein. 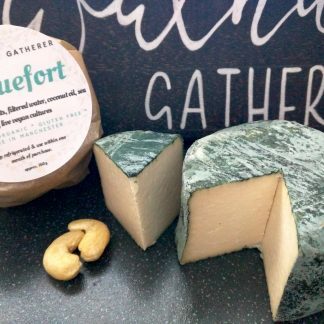 Our cheese is free from preservatives, artificial ingredients, gluten, casein, soya, yeast and lactose. 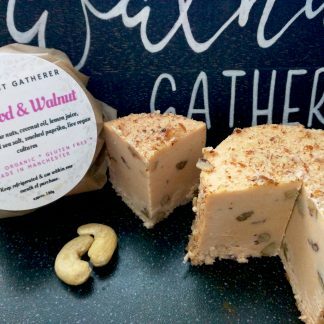 It’s 100% dairy free and 100% vegan. 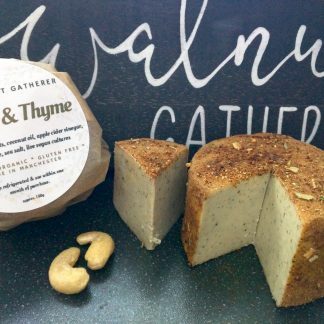 Ingredients: Organic cashew nuts, filtered water, sea salt, live vegan cultures. Approx weight: 160g (our cheese is hand made, therefore each one may slightly differ in weight). Shelf life: 1 month in the fridge.